The issue is on a Galaxy S5 firmware update, which cannot be installed using Kies. The users did receive a notification of a firmware update for his device but cannot proceed with update installation with Samsung Kies. 1. Security suites like firewall, anti-malware, or anti-virus is preventing Kies from running the update process. 2. A temporary issue connecting to Samsung Kies update service. 3. Prior installation issue that is halting the update from being completed. 4. A temporary issue with the computer, stopping Samsung Kies app from updating the device properly. 5. Connection lost between the computer and the device or battery charge was too low to complete the update process. 6. 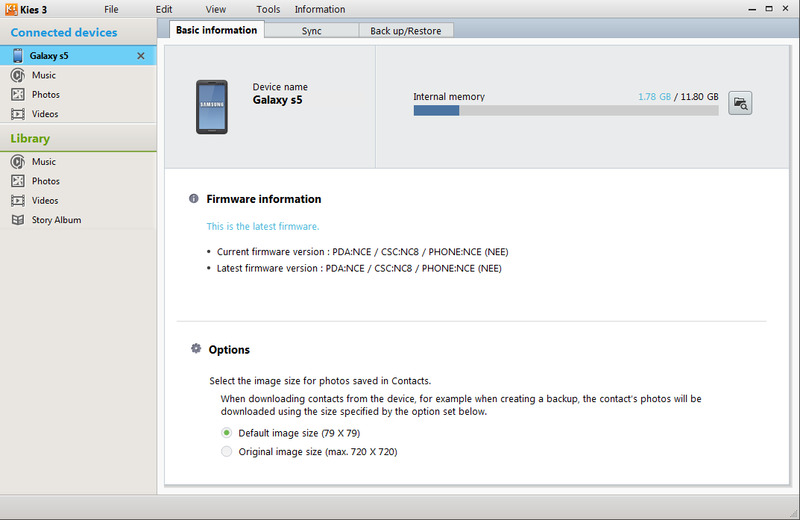 Firmware update is not available through Samsung Kies. 2. Check the battery on your device and make sure it is adequately charged. At least 80 percent battery charge is recommended. 3. In case, your security suite is blocking Samsung Kies from accessing and transferring data to your mobile device, please have them disabled or turned off for a moment, until the firmware update is finished. "The software update service is not available. Maximum number of roll-out updates has been exceeded." We suggest you attempt to download the update again at a later time. If available, attempt to update your device using over-the-air option. 1. On your GS5 handset, go to the Home screen and touch the Menu icon. 3. Touch More to see more options. 5. Touch to select Software Update. Contents for each of the aforementioned resolution options shall follow shortly. Please keep posted.